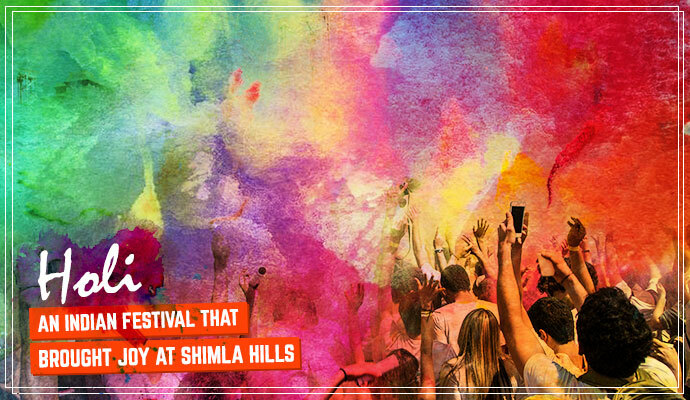 Holi also marks the arrival of spring, a season that symbolizes life. Thus, with full of life and charm in us, we arrived at the pre-decided venue at a pre-decided time on 24th March 2016. A wave of surprise was evident on the face of everyone when we didn’t find the colors or any other sign that proves we were there to celebrate Holi. It was only when the DJ played some latest hits from his repertoire, the herbal color trays were unveiled and the breeze of happiness and satisfaction enveloped all of us. Keeping in mind the scarcity of water the world is facing, we had already nodded on not to play Holi with water. In a short span of time, our white clothes turned into fabrics of various colors and everyone was so involved in the celebration that aroma of freshly made snacks and tea had to jump in the scene to pause the celebrations for a while. With our bellies full of fresh Indian snacks and rejuvenating tea, we were all set to burn the dance floor and sway on the beats that were popping out of the giant speakers. The day gifted us lots of memories and moments that we all will cherish forever. The festival infused in us new energy and a vibe of commitment to serve our clients with all our hearts. Shimla Hills wishes everyone a Spring full of life. It is also braced up to offer premium quality mango offerings i.e pulp, puree, juice concentrate to the world. It is a trusted supplier of various mango types such as Alphonso, Totapuri, and Kesari.